Panoramic tour around the city of Havana | Tour the town of Cojímar | Visit a small family-owned organic farm | Learn about urban and natural agriculture | Enjoy a welcome cocktail at Café Ajiaco | Learn about the diverse history of Cuban cuisine | Experience a cooking lesson at Café Ajiaco | Share and enjoy your traditional Cuban dishes with the group. Meals as noted on the description. Enjoy a morning taking in the fresh air of the Cuban outskirts in the seaside town of Cojímar. Learn how local food is grown and sourced. 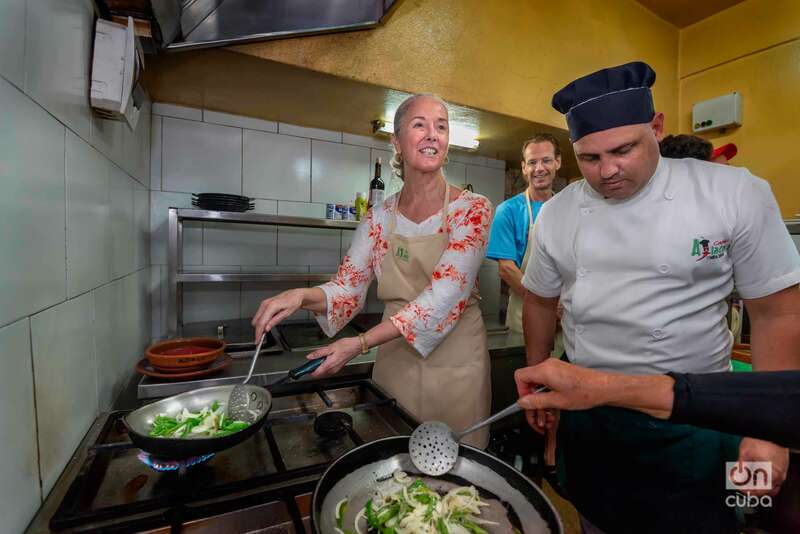 Then, prepare to take an immersive Cuban Cuisine cooking class at the rustic Café Ajiaco lead by a local chef. Enjoy a lunch feast with wholesome ingredients in a typical setting and close with an authentic Mojito Ajiaco! After departing from the meeting point at the pier, you will go to Cojímar, the district where famous American Author Ernest Hemingway docked his boat, Pilar. He not only used the town as a base for fishing. Cojímar was also the background for one of his most famous works, The Old Man and the Sea. The ‘old man’ in the title was reportedly inspired by his guide, Gregorio Fuentes, a Cojímar local. We will then continue to Café Ajiaco Restaurant, where you will toast with a welcome cocktail, before departing for a visit around Cojímar and its most iconic places. 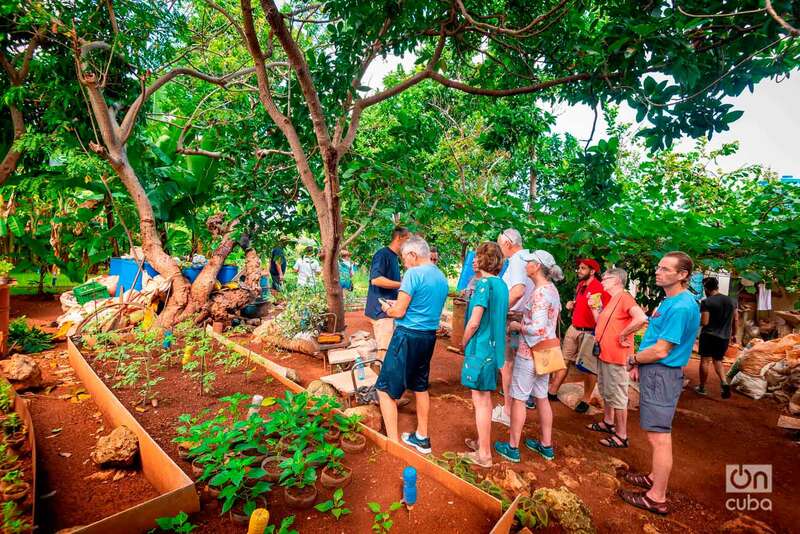 Later, we will visit a small and family-owned organic farm where you will learn more about urban and natural agriculture in Cuba. 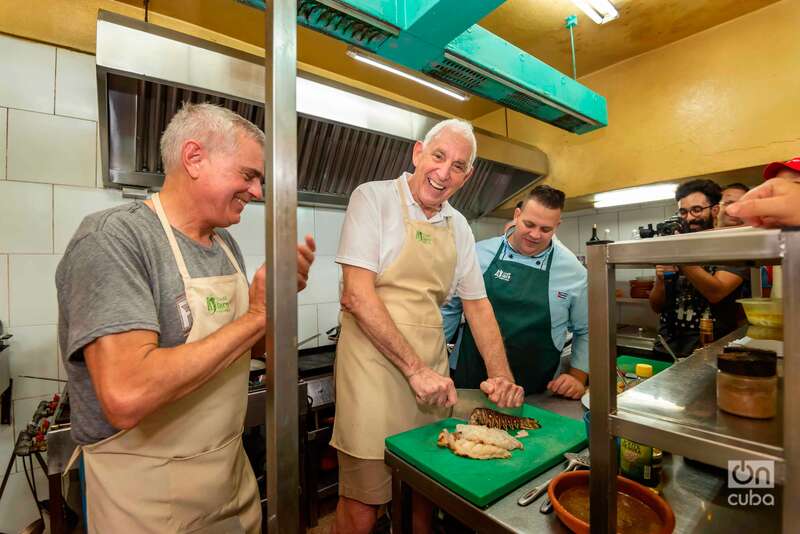 Upon completion of this part of the tour, we will go back to the restaurant, where you will be introduced to Ajiaco’s team and given an apron as a souvenir in preparation for cooking time! 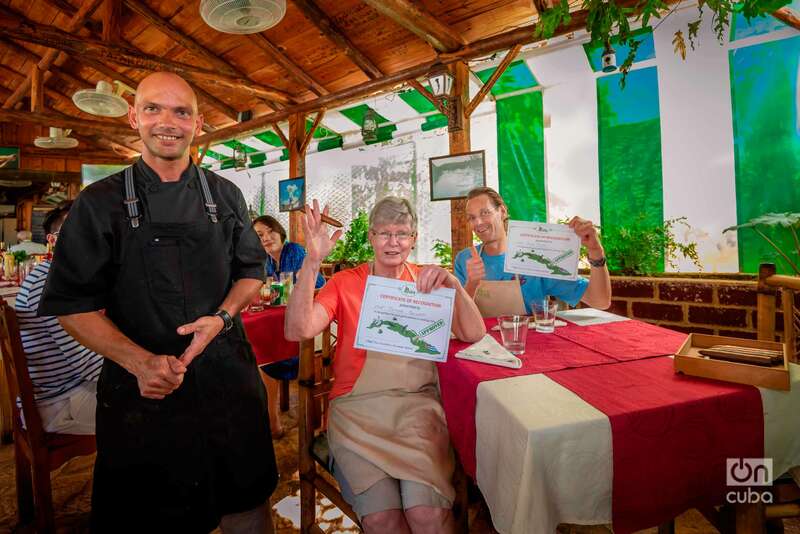 First, you will receive a brief introduction of the history of Cuban cuisine, its mixture with culture, and how it became part of the people’s sense of nation. Afterward, you will go to the prep area to start the guided cooking lesson with the chef. You will have the opportunity to learn how to prepare five different dishes such as Ajiaco Cubano, Ropa Vieja, Enchilado de Langosta y Camarones, Black Beans, and White Rice. A chef will guide each participant in the preparation of the dishes until completion. You will also have the opportunity to learn how to prepare the Mojito Ajiaco, made with honey, aged rum, mint, soda water, and decorated with ají chai. Once the feast is complete, the group will savor each dish accompanied by a drink of choice. At the end of the tour, you will return to the pier to enjoy your scheduled activities. Meal included: Lunch at Café Ajiaco. This tour involves considerable walking, mostly on pavement. Expect numerous stairs. The tour is not suitable for wheelchair access. The use of cameras is not allowed. This tour is OFAC compliant.